It's been pretty cold and snowy here in the northeast, and I thought this photo I took in The Wizarding World of Harry Potter this past Thanksgiving was fitting. I love the mauve pink paired with the olive green, and the beautiful neutrals you get from the stone buildings. 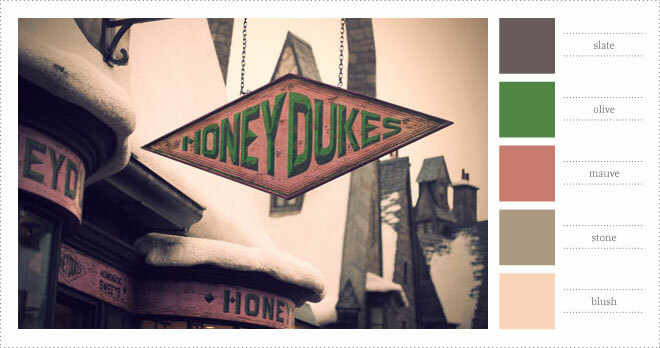 And doesn't it really feel like you're walking through Hogsmeade?